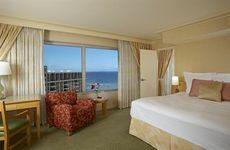 Family-friendly hotel across the street from Waikiki Beach, featuring ocean-themed rooms with private, furnished lanais. Comfortable hotel across from the Galleria and 3 blocks from Waikiki beach, featuring lanais, a pool, and restaurant. Budget hotel less than a mile from Waikiki beach & shopping, featuring comfortable rooms, an outdoor pool, and sundeck. Comfortable hotel in the center of Honolulu, near attractions, and featuring 2 pools, a water garden and buffet dining. A short distance from Waikiki Beach, the Ambassador Hotel Waikiki features an outdoor pool and on-site coffee shop. Set at the foot of the Diamond Head Crater, the Queen Kapiolani Hotel features a large outdoor pool and sun deck. Located in Honolulu, the Vive Hotel Waikiki is a boutique hotel featuring internet access and beach gear use.